The "President" beautiful tree is the name of a giant sequoia located in the Giant Forest of Sequoia National Park in the United States, east of Visalia, California. The tree is believed to be at least 3,200 years old. 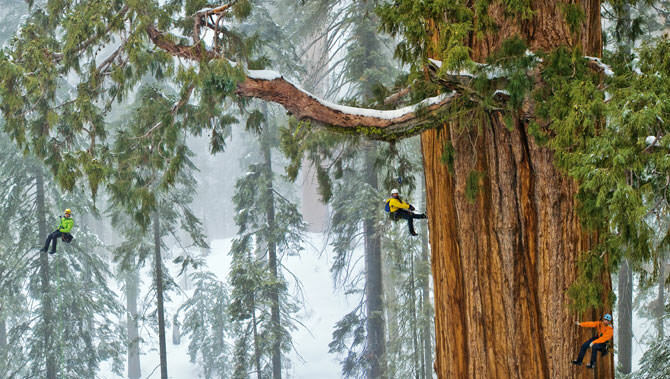 It is not the tallest giant sequoia tree in the world with a height of about 247 feet (75 m), nor the widest at about 27 ft (8.2 m) in diameter at the base, but it is the second largest tree in the world, measured by volume of trunk. Trump might build the wall on the southern border (just kidding). I’m not a tree hugger, but if “The President” could talk, imagine the stories it would tell. I bet it took more than a hour to get to the top of the Redwood. the Person up in the tree looks so much bigger than the one down…. ?